Hope you are having a good week. The heatwave continues here in the UK - I have to admit I won't be sorry when some cooler weather arrives! Today the project I am bringing you is one of the cards I made for my lovely customers just to show them how much I appreciate them choosing me as their demo. I have used one of the lovely papers from the Share What You Love DSP pack. 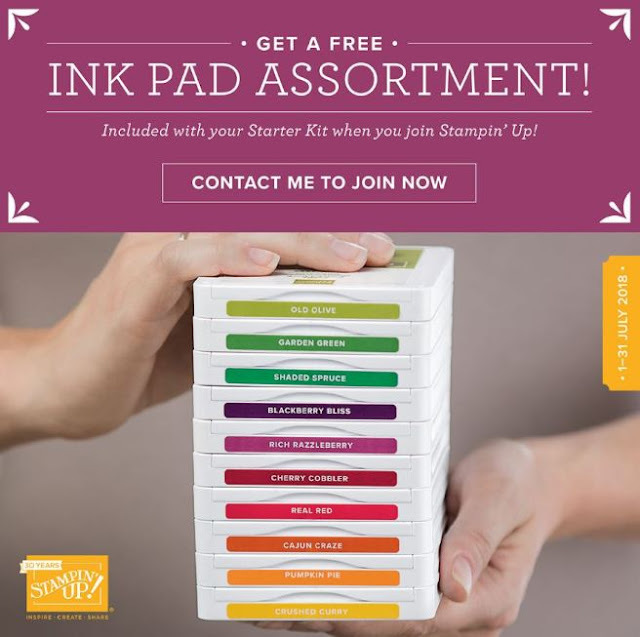 This is another project which shows just how easy Stampin' Up! makes it for us crafters to look good. In my pre-Stampin' Up! dayus I would have been searching around for a piece of ribbon or patterned paper to match but there are no such problems with Stampin' Up! Hope you like today's project. Back soon with another! And then of course we have this fantastic joining offer. Just let me know if you need any more info!